Gabriel Constans' inspiring new novel delves into the framework of our purpose in life; explores the tenuous balance between destiny and personal truth and the struggle we undergo when those forces are at odds. Constans weaves the two together seamlessly and in the end, we are certain that love surpasses tradition, destiny and our own selfish wants. Award-winning filmmaker, screenwriter and novelist. The Last Conception is a delightful read! It depicts a family muddling its way through a mire of personal, cultural, and generational differences, and reminds us all to slow down and remember - what else - love. Besides, what good are agendas when the dance of life is out of our control? Author of acclaimed Spanking New. "The Last Conception" is a bhakti-fest of love and loss, hope and courage that comes in unexpected packages. Take a peek into the lives of an Indian-American family faced with an unusual demand of their medical professional unmarried daughter whose job and personal life intersect in unanticipated ways. Although happy endings are never guaranteed, it seems that one is in the offing for this savory literary masala. Author of The Bliss Mistress Guide To Transforming the Ordinary Into the Extraordinary. The Last Conception is an engaging and unexpected tale of a young American woman whose choices about partnership and parenting have significant implications for her East Indian parents. According to them, it is Savarna's destiny to have a child, to continue the lineage of an ancient spiritual teacher. 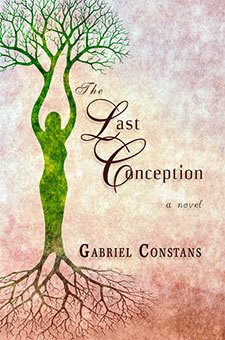 The novella is well written and fast-paced and evokes important inquires into spirituality and the true meaning of birth. “Happy fifty-eighth, Mom!” Savarna exclaimed, as her mother and father came out of the kitchen. They hurried to their daughter and gave her a big hug and lots of kisses. “Hold on here,” Savarna said, stepping back for a moment. “It’s your birthday, not mine.” Her parents grinned and hugged her some more. “You didn’t bring any chai, did you?” her mother asked. “Hello!” Chitra yelled, as she and Mike came in the front door. They put down their pots and bowls and greeted her mother and father. “You saw her car in the driveway,” Mike said, with a few laugh lines rising next to his blue eyes. “Is it that electric one she’s been talking about?” asked Savarna’s father. As Mike and Davidia went outside to evaluate the car, Chitra and her mother joined Savarna in the kitchen. “I’ll put the naan in the oven while you heat up the chai,” Chitra told her sister. The girls playfully tried to push their mother out of the kitchen. She protested and tickled them. They tickled her back until all three women were giggling like young schoolgirls. “You’re wearing a dress,” Savarna laughed, brushing her hand over her sister’s short jet-black hair. “How can you pee your pants?” She and her mother ganged up on Chitra and tickled her again. Savarna and her mother stopped tickling Chitra and helped her up off the floor. “Absolutely. You picked a good one, Sis,” Saverna replied. As Chitra left to join her husband and father gawking at the vehicle outside, Mira took Savarna’s hand and led her to the living room couch. The couch was old but in perfect condition. They’d picked it out twenty years ago, when they decided to “modernize” their home furnishings. Gabriel Constans has written for numerous newspapers, magazines, web sites, radio and literary journals in North America, Europe, Oceania, Africa, the Middle East and Asia; and is a contributing writer, along with Maya Angelou, to You the Writer by Guth and Rico (Houghtin-Mifflin Co.), The Real Meaning of Life by David Seaman (New World Library) and From Eulogy to Joy (Cynthia Kuhn Beischel). Dr. Constans has served the community since 1974 as a grief counselor, chaplain, social worker and massage therapist and is certified in Thought Field Therapy (TFT). His private counseling and counsulting practice is located in Santa Cruz, California. 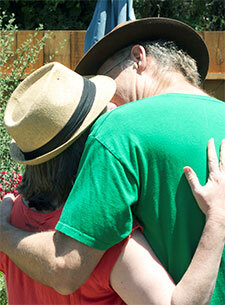 He was a mental health consultant at the Santa Cruz Integrative Medicine and Chi Center. Gabriel worked at the Center for Grief and Loss at Hospice of Santa Cruz County, as a social worker, educator and bereavement counselor since its founding in 1977. Additional experience includes work as a program manager for an innovative mental health center; Impact and Dharma programs at California State prisons and as a drug and alcohol counselor for teens and ex-convicts. Gabriel's Doctorate in Death Education is from The Union Institute and University. His Masters in Pastoral Counseling was from Beacon College and his Bachelor of Science in Human Relations and Organizational Behavior is from the University of San Francisco. Gabriel is the co-parent to five children and four grandchildren in The US and an extended family at The ROP Center for Street Children in Rwanda, which he supports. He also enjoys his work as a board member of the Ihangane Project for women and rural health care in Rwanda.